Rapid KL, Big Tree Outdoor and Hot FM has a new collaboration between the three parties that would enable Light Rapid Transit (LRT) commuters to enjoy Hot FM content at selected LRT stations. Beginning 1 September 2016, Hot FM, through Hot FM @LRT will be broadcasting its content at several stations along the Kelana Jaya line. These include the KLCC, KL Sentral, Masjid Jamek, Wangsa Maju and Bank Rakyat (Bangsar) LRT stations. Hot FM @LRT content will be specifically customised for commuters and will entertain commuters daily from 6.00 AM to 12 midnight with a selection of popular songs in different languages such as Malay, English, Chinese, Korean and Hindi. The selection of music genres is based on the observed demographic trends of LRT commuters. Hot FM @LRT will also feature safety announcements regularly from Rapid KL and other forms of content may be included in the future. It is estimated that 500,000 commuters use LRT daily and as such potential advertisers to benefit from Hot FM @LRT. Advertisers are able to communicate and promote directly to commuters waiting for their respective trains to arrive at the stations. Hot FM is already offering advertising packages to potential advertisers looking to penetrate the 15 to 30-year-old demographics from various social backgrounds with household monthly income of above RM3,000.00. 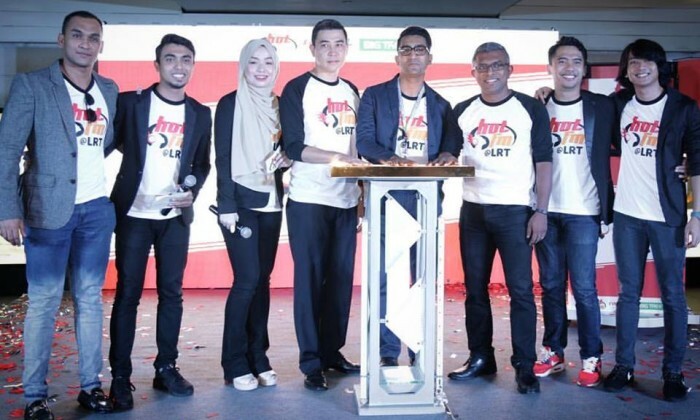 According to Seelan Paul, chief executive officer of Media Prima Radio Networks, for Hot FM in particular, the collaboration will bring mutual benefits for all parties involved. “Equally as important, this is a good initiative that would enhance commuters experience while using RAPID KL’s LRT service. We are very appreciative of the trust given by RAPID KL and Big Tree to Media Prima Radio Networks to launch Hot FM@LRT today,” said Paul. The collaboration will be kicked off with the launch of a ten-day Vestiaire Collective pop up store in JOYCE’s flagship boutique l.. The experience allows consumers to search for international properties from 56 countries across Europe, the Americas and the Asia .. Global health-care giant Johnson & Johnson will pay more than US$2.2 billion for marketing drugs deemed unsafe by the Food and Dru..